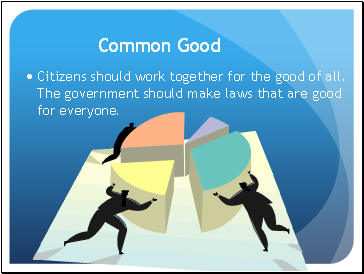 Citizens should work together for the good of all. 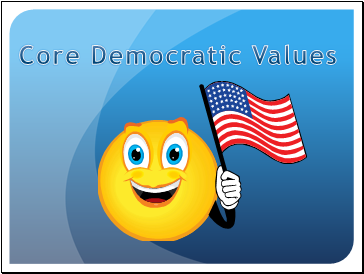 The government should make laws that are good for everyone. 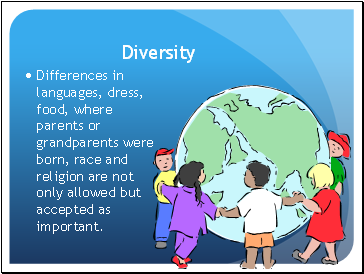 Differences in languages, dress, food, where parents or grandparents were born, race and religion are not only allowed but accepted as important. 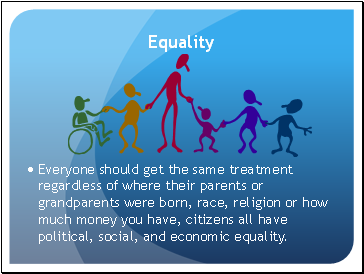 Everyone should get the same treatment regardless of where their parents or grandparents were born, race, religion or how much money you have, citizens all have political, social, and economic equality. 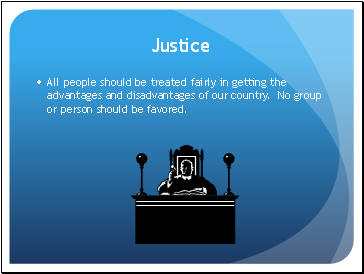 All people should be treated fairly in getting the advantages and disadvantages of our country. No group or person should be favored. 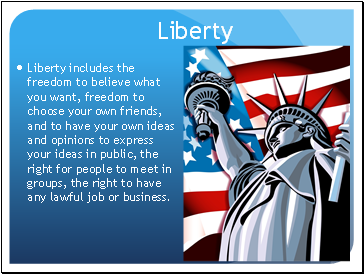 Liberty includes the freedom to believe what you want, freedom to choose your own friends, and to have your own ideas and opinions to express your ideas in public, the right for people to meet in groups, the right to have any lawful job or business. 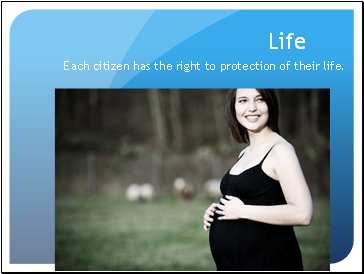 Each citizen has the right to protection of their life. 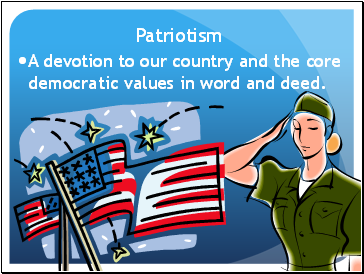 A devotion to our country and the core democratic values in word and deed. 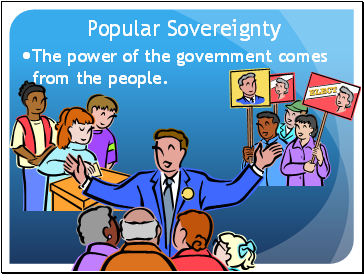 The power of the government comes from the people. 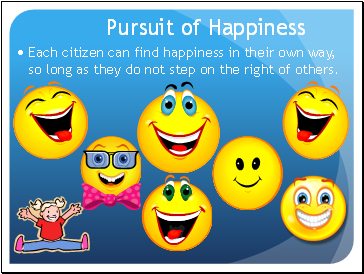 Each citizen can find happiness in their own way, so long as they do not step on the right of others. 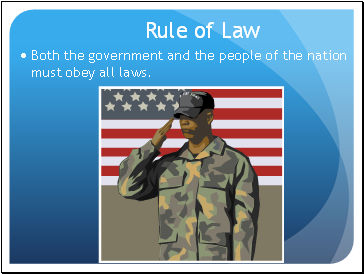 Both the government and the people of the nation must obey all laws. 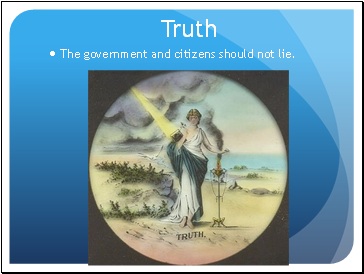 The government and citizens should not lie.